The active ingredient of Meridia is Sibutramine (Sibutramine hydrochloride monohydrate). It is an orally administered diet pill for the treatment of obesity. Sibutramine is a centrally acting stimulant chemically related to amphetamines that's classified as a schedule 4 controlled substance in the US. It's trade name is Meridia in the US, and Reductil in Europe. 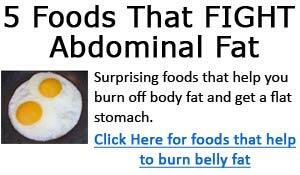 There are numerous studies documenting the weight loss effectiveness of Meridia (Reductil). While it's weight loss benefits are well documented, there are also a number of potential meridia side effects. Meridia diet pill has been reported to cause increase in blood pressure, and it can also cause dizziness, headaches, among various other side effects. The above are some of the possible side effects of Meridia (Sibutramine). Should you experience any side effects, you should talk with your physician about it. As previously mentioned, there are many studies done on Sibutramine showing its weight loss effectiveness. 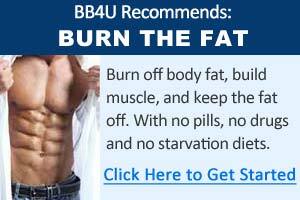 Below are a few studies highlighting the use of Sibutramine in helping with weight loss. Sibutramine in weight control: a dose-ranging, efficacy study. Weintraub M, Rubio A, Golik A, Byrne L, Scheinbaum ML. Department of Community and Preventive Medicine, University of Rochester School of Medicine and Dentistry, NY. Summary: This study tested the safety and efficacy of sibutramine 5mg, 20mg, and placebo on weight loss. The weight loss drug was combined with caloric restriction, behavior modification, and exercise in a parallel-group, double-blind clinical trial. The Participants were 130% to 180% of ideal body weight and in good health. The study lasted 12 weeks over Thanksgiving, Christmas, and New Year's Day. The study found that placebo group lost 1.4kg, 5mg group lose 2.9kg, and the 20mg group lost 5.0kg. Leading to the conclusion that "there is a significant dose-effect relationship", and that Sibutramine assisted the participants in losing weight. The study also noted sleep difficulties by 8 participants, and 6 participants complained of irritability, impatience, or excitation. Six-month treatment of obesity with sibutramine 15 mg; a double-blind, placebo-controlled monocenter clinical trial in a Hispanic population. Cuellar GE, Ruiz AM, Monsalve MC, Berber A.
Módulo de diabetes del Hospital Psiquiátrico con Unidad de Medicina Familiar No. 10 Dr. Guillermo Dávilla García IMSS Delegación 04 del DF, Mexico City. Summary: A monocenter, double-blind, placebo controlled, parallel, prospective clinical trial evaluating the safety and efficacy of sibutramine 15mg involving 69 obese male and female patients with a BMI greater than 30 aged between 16 and 65 years old. They found the weight loss in the sibutramine group was 10.27kg vs. 1.26kg in the placebo group. The wait circumference reduction was 12.51cm in the sibutramine group and 3.26cm in the placebo group. The study also noted that 23 sibutramine patients had noted side effects - the most common events were upper respiratory tract infection and constipation. The research concluded that sibutramine induces significant loss of body weight and waist circumference, and Sibutramine was well tolerated by most of the patients. Comparison of orlistat and sibutramine in an obesity management program: efficacy, compliance, and weight regain after noncompliance. Gursoy A, Erdogan MF, Cin MO, Cesur M, Baskal N.
Department of Endocrinology and Metabolic Diseases, Ankara University School of Medicine, Ankara, Turkey. alptekingursoy@hotmail.com. Summary: The goal of this study was to compare the efficacy of Orlistat (Xenical) and Sibutramine (Meridia) in an obesity management program. 182 obese participants were randomized to treatment with Orlistat or Sibutramine along with diet and exercise prescriptions. Significant body weights improvements were seen in both treatment groups. Orlistat group lost an average of 7.6kg and Sibutramine group lose an average of 10.5kg. The patients in the sibutramine group lost more weight than the orlistat group.